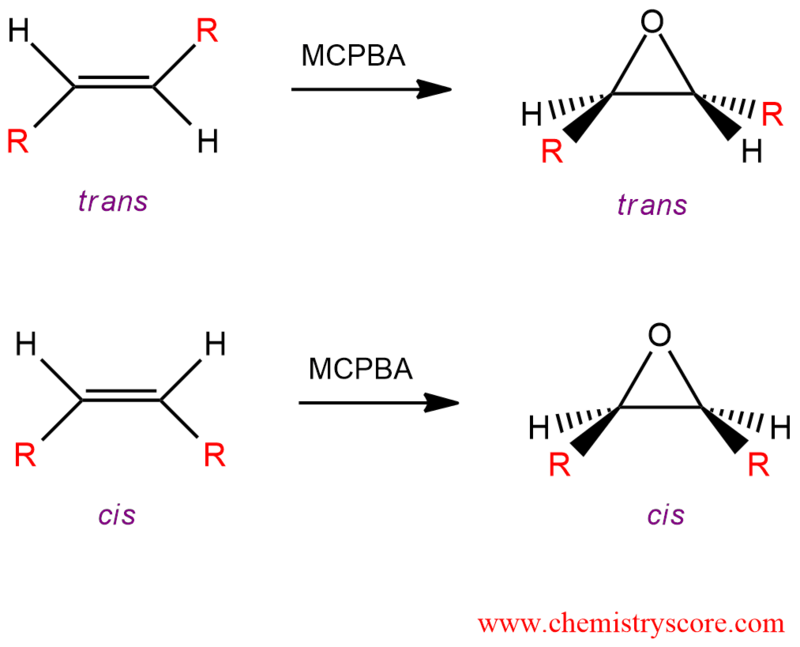 Epoxides or oxacyclopropanes can be obtained by reaction so-called epoxidation from alkenes with peroxy acids. The most commonly used peroxy acids are meta-chloroperoxybenzoic acid (MCPBA) and peroxyacetic acid. This reaction is stereospecific. If we start with cis-alkene we will obtain cis-epoxide. The same applies to trans-isomers.